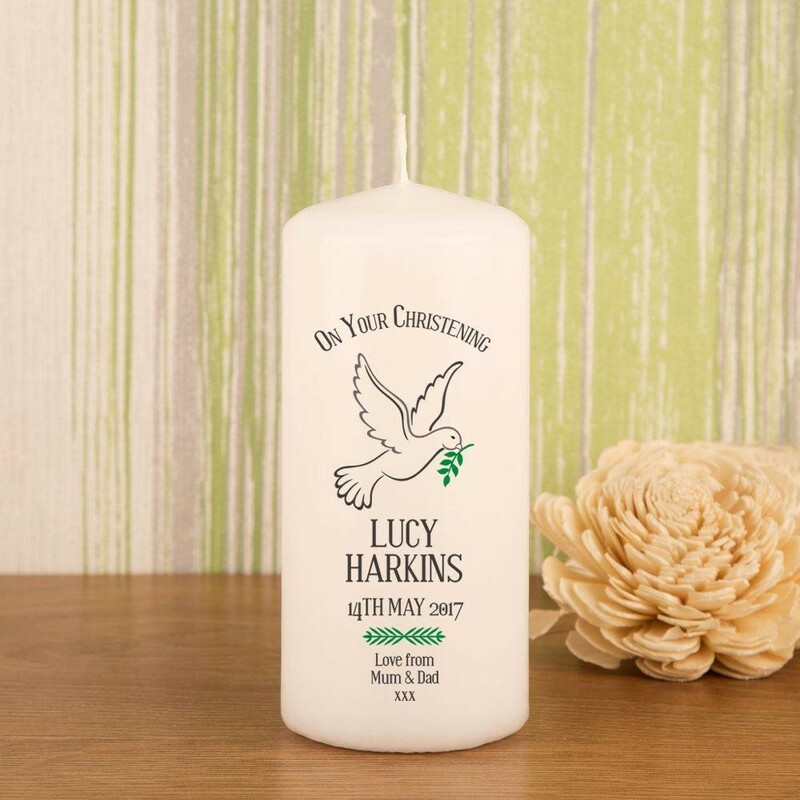 A Christening is an important event in a baby's life and a bespoke gift is a wonderful way to mark the momentous occasion. 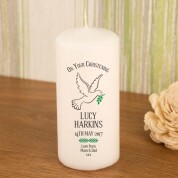 Our precious white pillar candle features a design showing a single white dove holding a green olive branch. The religious design is personalised with the child's full name and important date. There is even room for a short with love message, making it truly unique to them. The candle can be displayed and enjoyed for years to come. As the child grows, they will love to hear about their special occasion every time they see it.